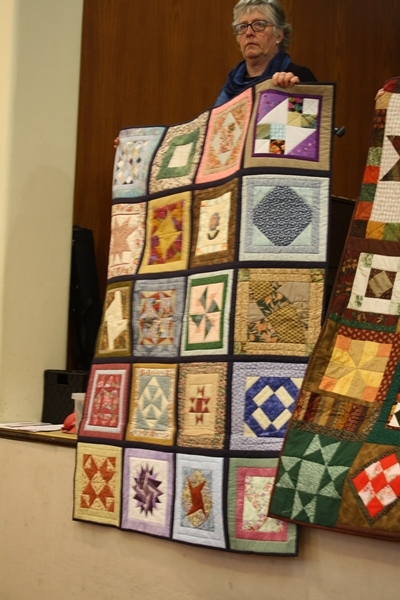 The June meeting was attended by 109 members and five visitors. 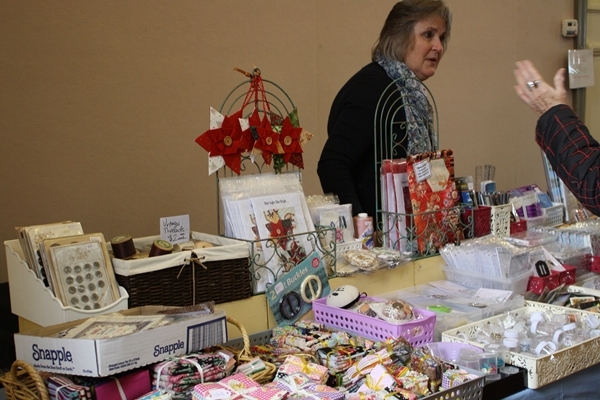 Chrissie provided the shop this month - Chrissie's Timeless Treasures displayed lots of fabrics, patterns and interesting quilting supplies. 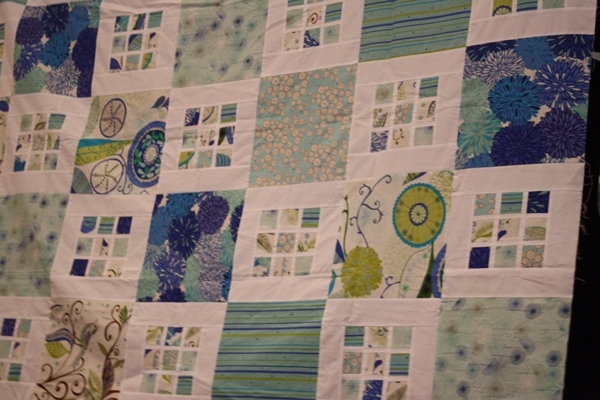 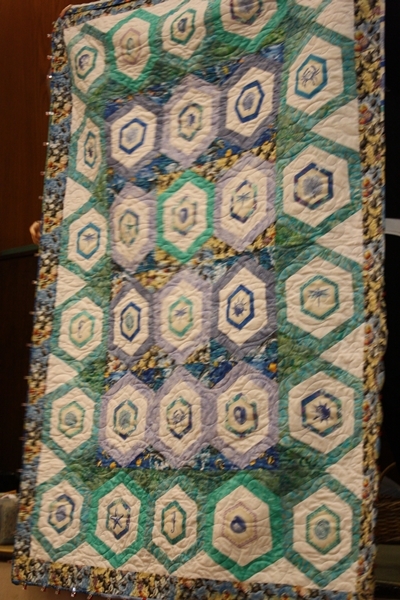 Clair outlined her quilting journey, and displayed some of her quilt tops. 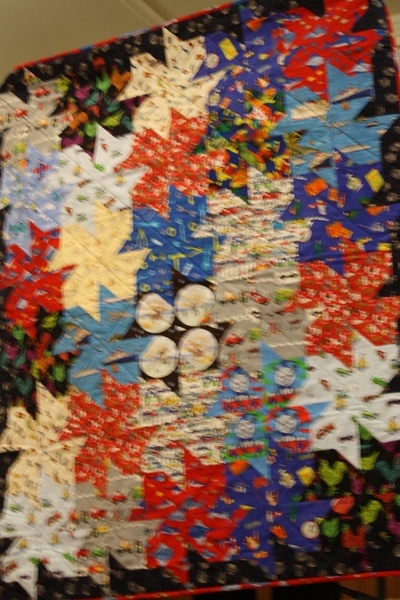 She also introduced us to her next venture - Clair's fabrics in the barn - where we will be able to go and look at some of Clair's amazing fabrics. 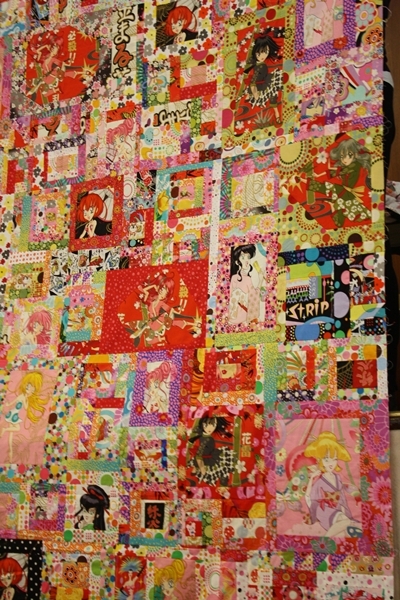 Clair expects this will be operating this should be operating in a matter of weeks. 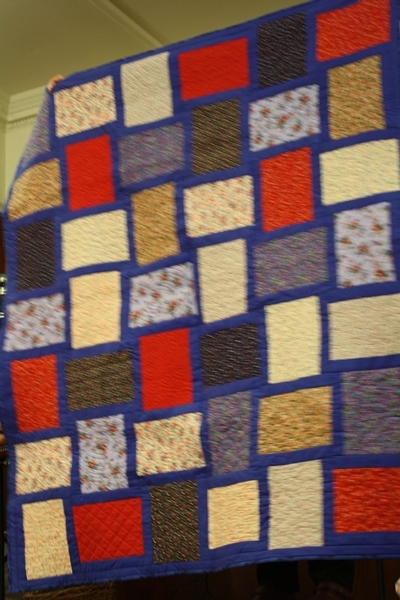 Individuals and small groups have completed a number of quilts for Caring and Sharing, including some remarkable tessalated quilts. 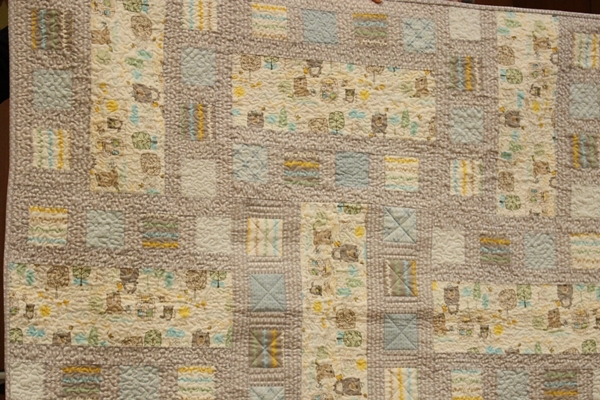 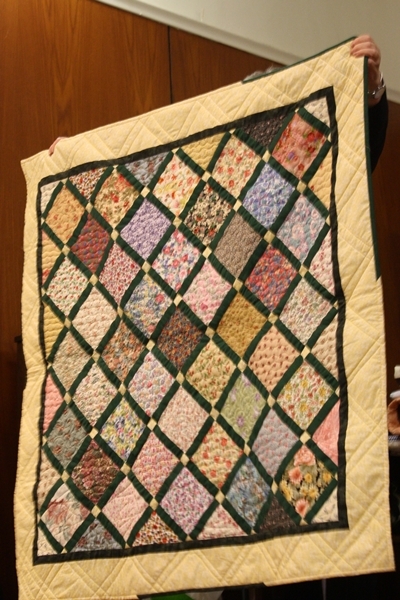 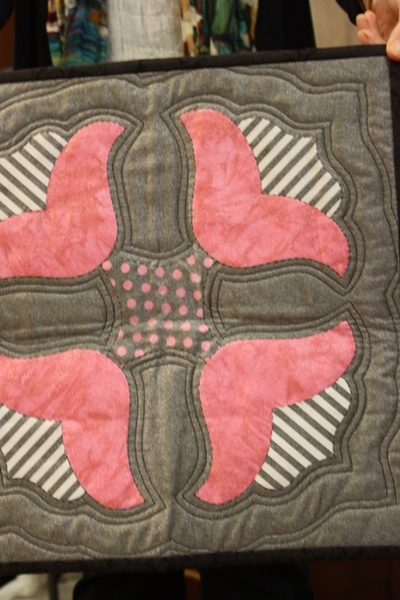 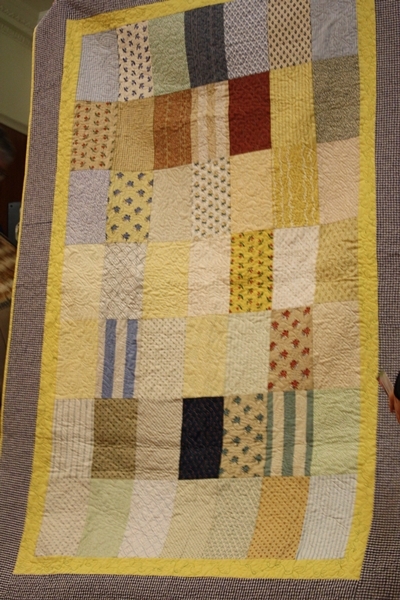 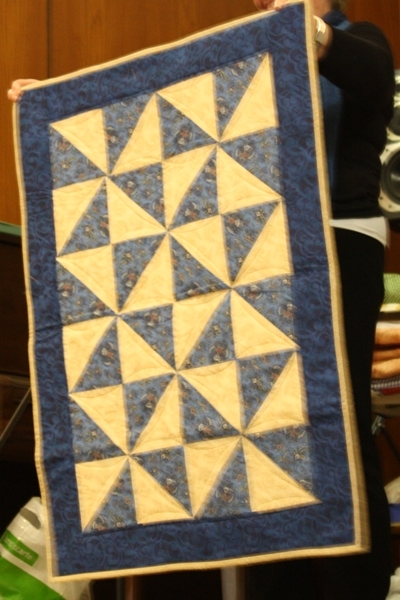 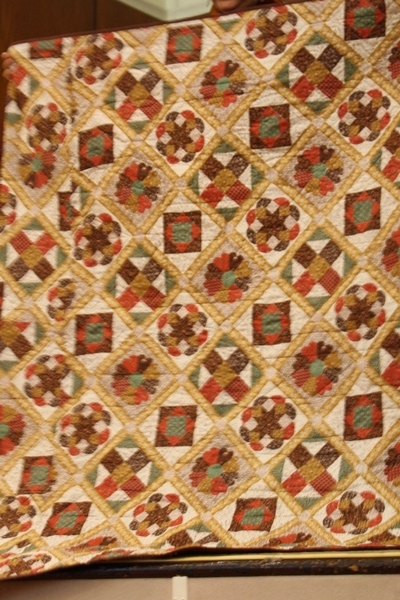 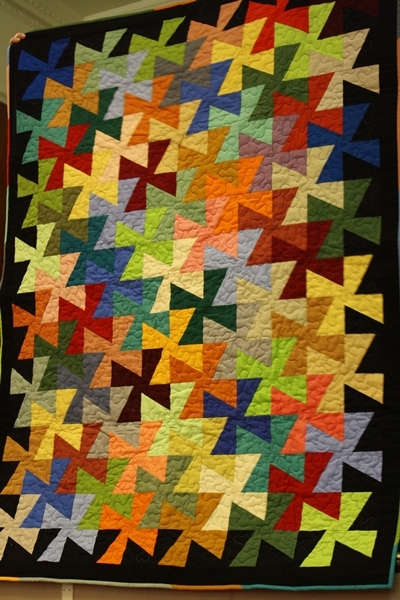 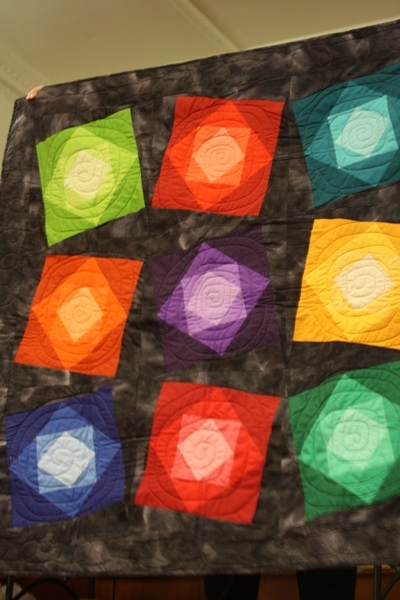 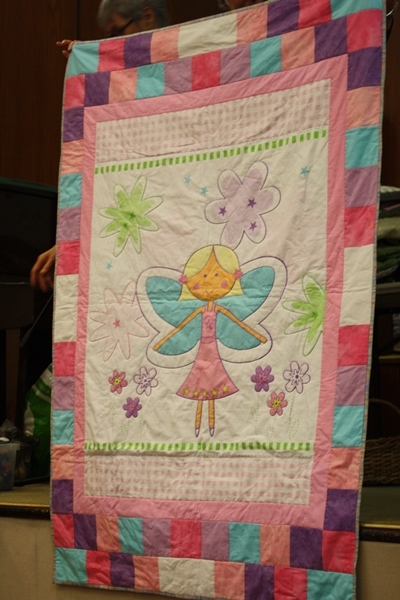 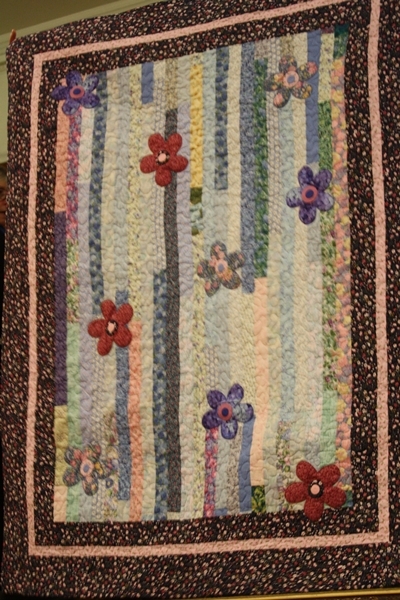 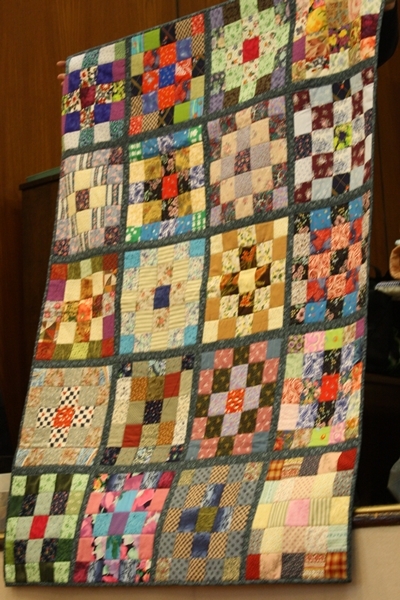 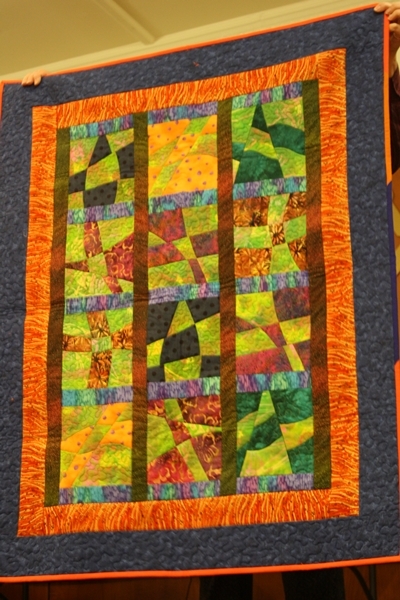 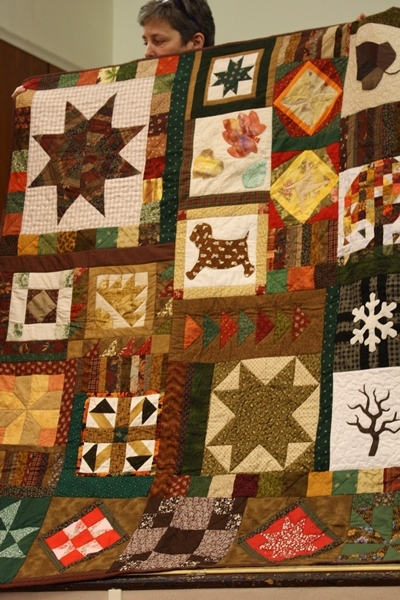 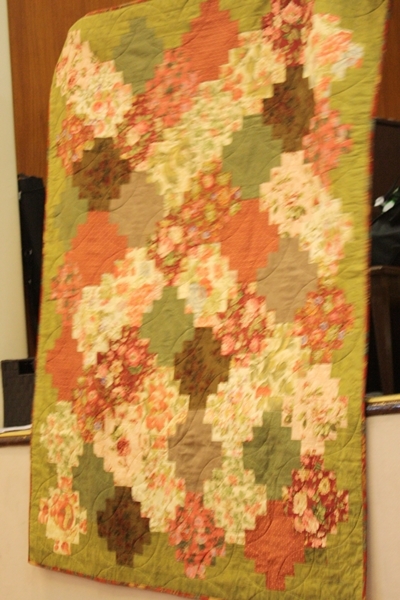 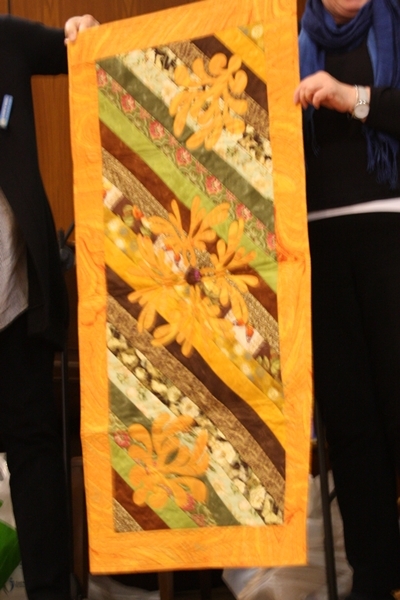 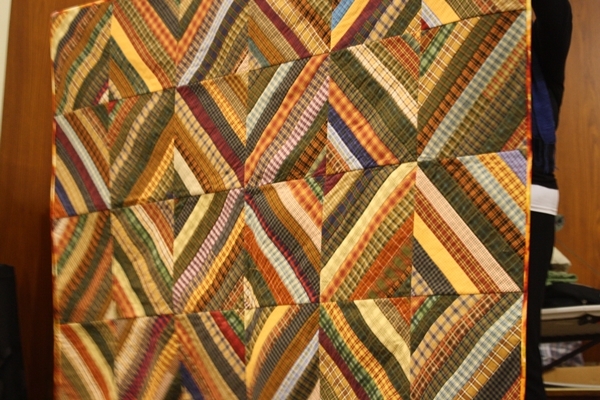 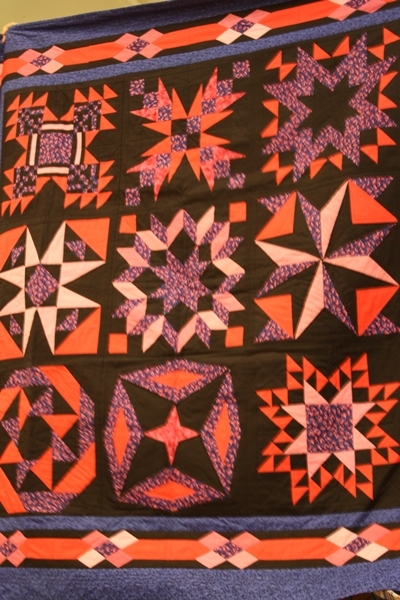 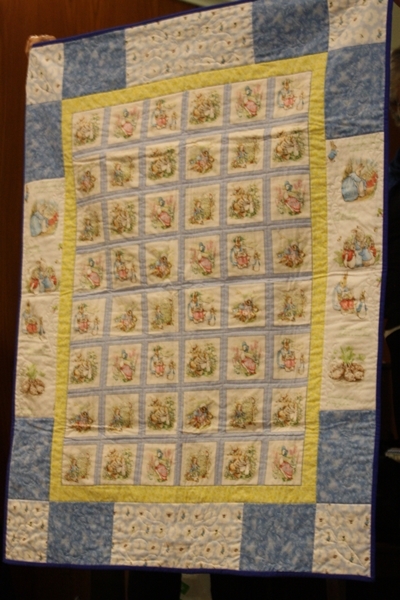 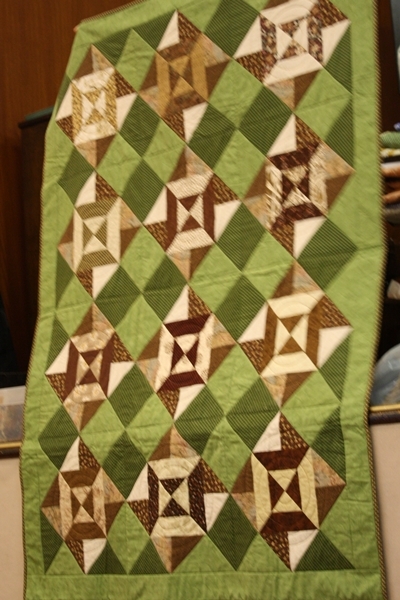 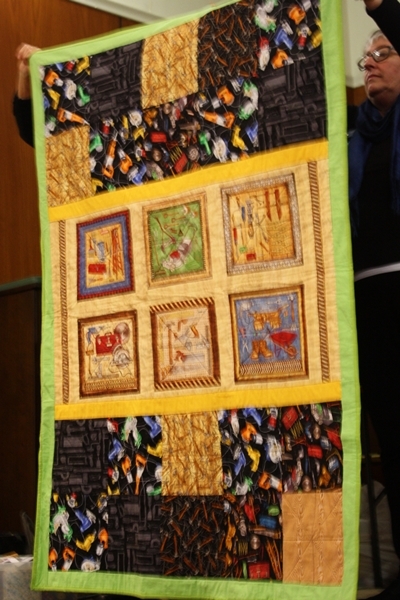 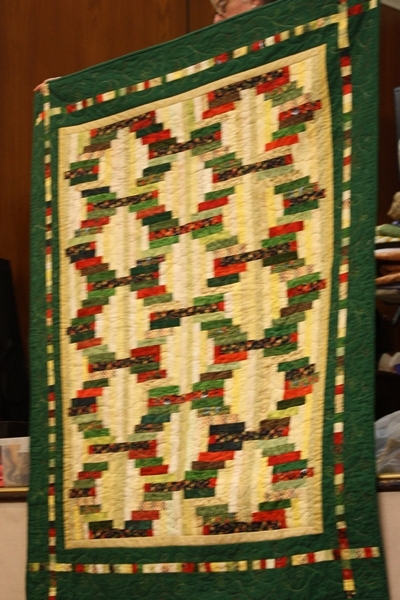 Check out the quilts in the following photo gallery. 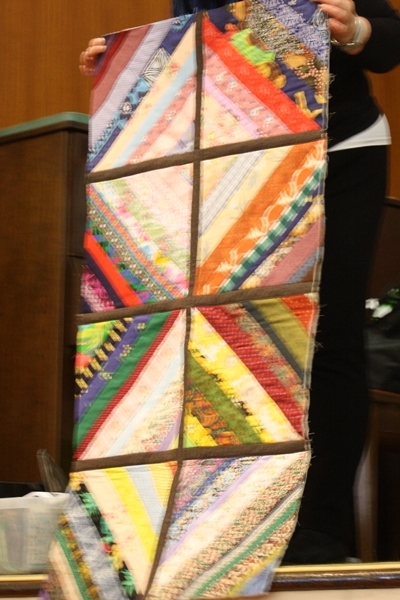 Members shared some of their special projects in our concluding Show and Tell session. 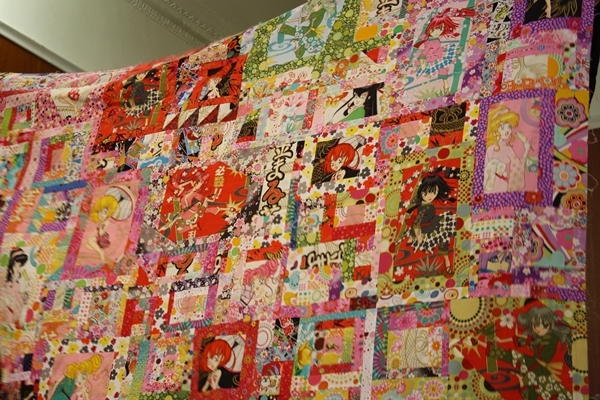 Remember to vote in the Ikea survey. 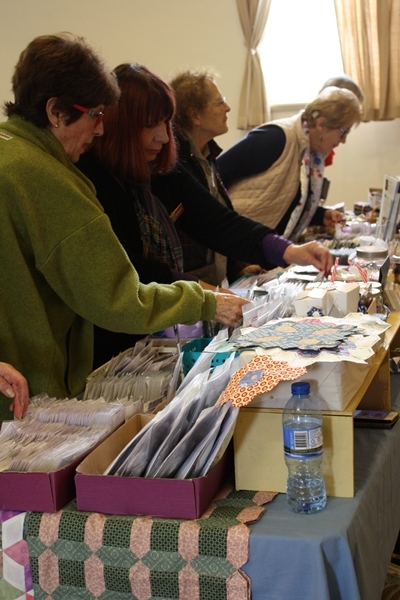 I am sure we are all looking forward to July's Big Morning Tea. 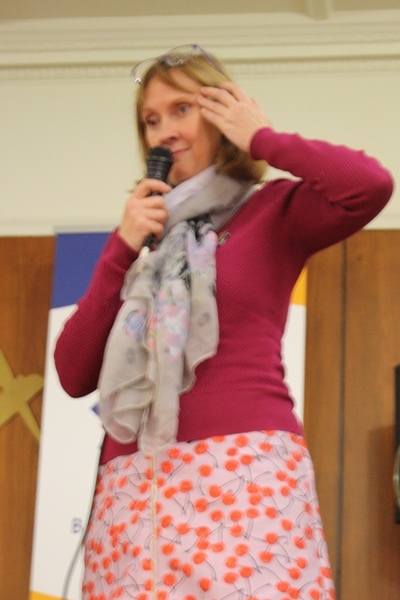 Thanks for the great photos Kerry!